An exhibition in Trinity College’s Wren Library which runs until 12 June 2018 celebrates the work of the Cuban artist Wifredo Lam, using items from the Wren’s extraordinary Kessler Collection of Artists’ Books. In this blog post, we look at the University Library’s own holdings of Lam books and related material. Having fled the German invasion of Paris to Marseille, Lam, Breton and several other French-based intellectuals travelled to Martinique in 1941, leading to an even more significant encounter for the Cuban artist: his first meeting with Aimé Césaire. The proceeding and longstanding relationship between Lam and Césaire is central to the exhibition at the Wren Library and is also commemorated in the exhibition catalogue Aimé Césaire, Lam, Picasso : “nous nous sommes trouvés” (2014.10.617). The influence of Césaire, as well as Lam’s return to his country of birth later in 1941, led to an increased focus by the artist (whose mother was of African origin) on Afro-Cuban culture, which forms the basis of his best-known work. This is exemplified by his large 1943 painting The jungle, held at New York’s Museum of Modern Art and widely considered to be his masterpiece. The UL continues to collect material by and relating to Wifredo Lam. One of our more recent and most substantial acquisitions is a comprehensive catalogue raisonné (S950.a.201.5060), published in Paris in 2016 and showing the artist’s continued high standing in Europe. Turning to works by Aimé Césaire held by the University Library, the long poem Cahier d’un retour au pays natal is considered Césaire’s masterpiece. The earliest edition the UL holds of the poem dates from 1956 (9735.d.618), and a bilingual French-English edition is also amongst our holdings: 9003.c.3798. As a playwright, Césaire wrote tragedies such as La tragedie du roi Christophe (737:45.d.95.79), Une saison au Congo (737:45.c.95.63), and Une tempête: d’après “La tempête” de Shakespeare: adaptation pour un théâtre nègre (9735.d.2109). Other important works include Discours sur le colonialisme (9200.d.2852) and the interview Nègre je suis, nègre je resterai (C201.d.502). A fuller account of our holdings by and about Aimé Césaire can be seen here on the UL’s website, in a list compiled in 2013 when the library celebrated the 100th anniversary of Césaire’s birth. Since then, several more books by or about Césaire have been added to our collections, including Poetics of the Antilles : poetry, history and philosophy in the writings of Perse, Césaire, Fanon and Glissant (C212.c.3786) by Trinity fellow and curator of the Lam exhibition Jean Khalfa. 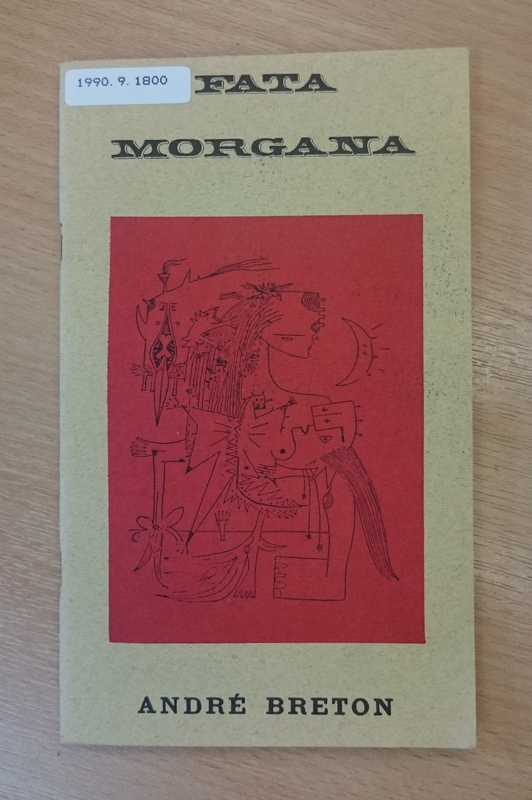 This entry was posted in College Libraries, French, Spanish and tagged art, artists' books, Cuba, Kessler Collection, Poetry, Trinity College by europeancollections. Bookmark the permalink.